Criticism has been around since the beginning of time. As long as there has been art, there have been those who looked on and thought, “This is amazing,” or “Lord, is that ever atrocious.” As an art form itself, criticism can be educational, confrontational, enlightening or a blunt instrument against the art or the artist. It can help people form their own opinion, or avoid something they would find offensive, beneath them, opposing of their viewpoint or just plain dull. There are scholars who dedicate their life’s work to the craft of criticism, some of them centered that work on criticism of film. The art and craft of film criticism has changed over the past 50 years from a vocation of the few to the sprawling cacophony of many voices. 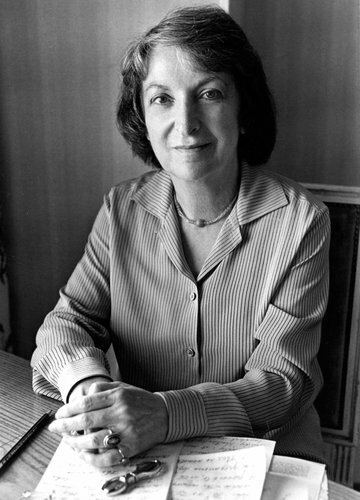 From 1968-1991, Pauline Kael reviewed film for The New Yorker. She is, for many people, the gold standard when it comes to film criticism in the last half of the twentieth century. Her reviews read like a how-to guide on being witty, opinionated and, at times, biting. Roger Ebert once said, “(Kael) had a more positive influence on the climate for film in America than any other single person over the last three decades.” Ebert was no slouch himself, but more on him later. Kael was one-of-a-kind, but there were plenty of other influential critics in the days before the web and IMDB made anyone with an internet connection a critic. Almost every daily paper had a full-time film critic on staff, and most weeklies did too. The Arts section of newspapers around the country dedicated copious amounts of space for people with knowledge of films and a love of writing about the subject. San Diego was blessed with a pair of great critics that I was thrilled to read growing up. Duncan Shepherd was movie critic for the Reader for close to 40 years. Shepherd was a disciple of iconoclast Manny Farber, and tried to teach readers to look beyond the plot and to watch movies from all angles. Much of his work is available online, and still relevant and insightful decades after it was first published. The other was David Elliott of the San Diego Union-Tribune. Elliott’s criticism was not as cerebral as Shepherd, but it had more of a newspaper feel to it; written by a journalist with an extensive knowledge of film rather than a scholar writing his thoughts. Both of these critics had opinions, insight and a frame of reference from which to draw when reviewing films. The world of criticism did change with the birth of the internet and sites like Rotten Tomatoes, Metacritic and Letterboxd. Now, anyone can be a critic, and the artform is much worse off for that. Plenty of people wanted to be critics in the past, but very few were willing to do the hard work to earn the spot. 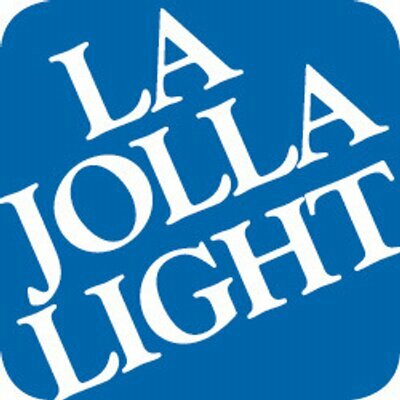 When I served as executive editor of the La Jolla Light, there was never a week that went by that someone would show up, looking for a job. “What do you want to write about?” I would always ask. The response was almost uniformly the same, “Oh, I love writing restaurant reviews, film reviews, stuff like that.” Sadly, too few of the aspiring applicants were willing to do the grunt work of covering a city council meeting, or interviewing the winner of the local flower growing competition. I was always of the opinion that before a person gets 25 inches of space in a 35,000 circulation weekly paper, they should prove they can write. They should prove the are willing to show they want to do the thankless job before they get to enjoy a free meal or the privilege of an advance screening to a movie. Everyone that came before them did the heavy lifting, why should they be exempt? There were a few people who jumped at the chance to write about anything I would assign. If they submitted quality work covering potholes, it was an easy decision to assign them an opportunity to review the new Spiderman film. If they weren’t willing to cover the mundane, why should they get the “fun” job? The years I spent writing about the lovely taffeta at a bridal show and interviewing a local octogenarian sponsoring an Easter Bonnet parade made me a better journalist. The fact that I wrote those articles so I could interview Eric Idle and David Bowie was always the goal. Like all of those people that waltzed into my office expecting to be greeted like the Prodigal Son, I too loved movies and wanted to write about them. Too many people walked into the offices of the Light and expected to be given preferential treatment without ever having written anything, about anything, anywhere. The dedication to the craft of writing has always been the difference between someone giving their opinion and someone who is a critic. There is, however, something to be said about having the desire and not having the opportunity, so you create your own. Case in point, Film Threat, a zine from the 1980s that was born by a pair of college students from Wayne State University, Chris Gore and André Seewood. It started as an outlet for the pair to create “a punk rock attitude movie magazine.” They photocopied the original incarnation of the ‘zine and in the D.I.Y. spirit of punk rock, they carved out their own niche in the world of film criticism through hard work, a snarky attitude and pure determination. There is more than one way to earn a place at the table, and through Film Threat’s life, it has gone through several incarnations. Their work was often funny, sometimes insightful and it did send a message that if you could not find an outlet for your passion, you could create one. The internet provided a much quicker, easier path to allow anyone with a WiFi connection the ability to make those thoughts public. While everyone is certainly entitled to an opinion on movies and many of them make solid points about the films they review, the democratization of film criticism has opened the door for anyone to publish online and assume their opinion is just as valid as someone who spent years doing their homework, studying their craft and sitting through plenty of bad movies for the opportunity to see something great. With a glut of reviews, the keen insight may still be out there, but the consistency of a well-informed critic giving their perspective has largely been lost in the flood of everyone who buys a ticket to the cinema. But that did not start with the internet. It started with television. “Sneak Previews” came to PBS television in the mid-1970s and with it came Ebert and Gene Siskel, a pair of Chicago-based critics with vastly different personalities who brought the focus of film criticism away from more scholarly pursuits to break down whether or not a film was good, was it watchable, was it worth going to see? The pair tailored their writing styles into a talkative, sometimes combative give and take on movies of the day. They would review “My Dinner With Andre,” but they would not shy away from reviewing dreck like “Riding WIth Death.” They brought awareness of cult films and introduced an entire nation to movies we otherwise would never have known existed. It was good T.V. and of course, it was copied often and everywhere. 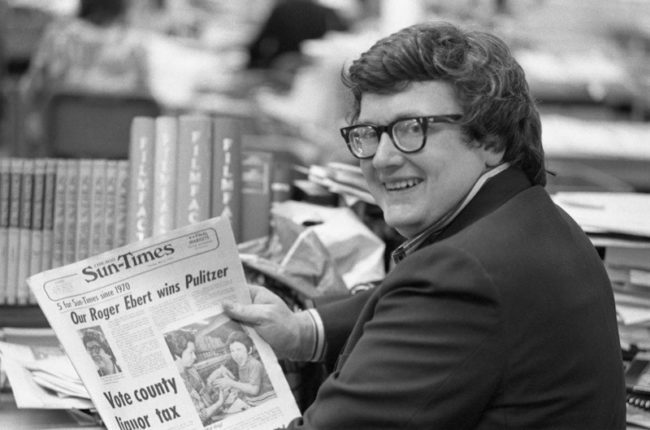 “Sneak Previews” morphed into “At the Movies” and then into “Siskel and Ebert.” The pair reviewed films until they passed away. What they left behind was a score of copycats that lacked the pair’s knowledge, wit and natural chemistry. It was a short leap from T.V. opening up film criticism to the masses to the masses becoming film critics. This is not the sour grapes of a journalist who pines for the old days. I’m all too aware that the days of print media having an influence on society has waned and is not coming back. It did pay well enough for me to raise a family and still get to meet actors, directors and musicians that I admired. No, it’s more like the ramblings of a guy who remembers what quality journalism sounded like when it jumped off the page. The brilliant prose a well-versed critic lead me to discover plenty of films I would have otherwise missed. Film critics used to hold sway over how well a movie did based on their review. People found critics they trusted and read their reviews and planned their trips to the movies accordingly. Where there used to be five channels of T.V. when I was a kid, there are now hundreds. There are literally thousands of websites and blogs dedicated to film reviews and criticism. The genie is out of the bottle and the once locked doors to Hollywood have been kicked open. That fact does not just apply to film critics though. Anyone can make films now and release them on some platform. The rise of original programming on Netflix, Hulu and everywhere else has opened up opportunities for anyone with a dream to create a film, animation, music or a blog for their writing can now self-publish, self-produce or self-create. There are definitely diamonds in the rough out there to be found. The problem is, the amount of rough has increased exponentially, the diamonds have not.